Click URL: Landing page of the premium sale campaign. 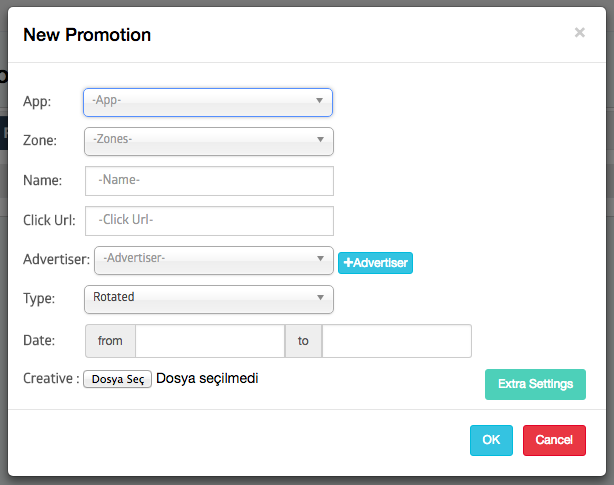 Create a new one or select the existing advertiser is valid for publishers to track the campaigns. This feature would not allow the advertiser to access the data. The size of creative may be custom, but if it’s not fit with the standard size of the zone, Admost will center your creative.